Among the nine Planetary Gods, LORD SANEESWARAN (The Lord of the Planet Saturn) occupies the seventh position. Astrologically the movement of Saturn among the other Planetary movements is considered most significant. 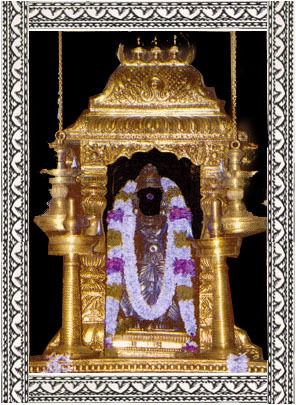 For Lord Saneeswara, there is a famous temple in Tirunallar, Tamilnadu. Hindu Mythology narrates instances where many legendery personalities like Nala and Damayanthi have got rid of their miseries by worshipping Lord Saneeswara at Tirunallar. To help you perform poojas here we offer two packages. 1. One Double Bed Air-Conditioned room for one night will be arranged in a reputed vegetarian hotel of high standard at KUMBAKONAM. Food will be extra on actuals, as charged by the hotel. Tirunallar is about one and half hours drive from Kumbakonam. Kumbakonam is situated geographically very close to the temples of all other Planetary Gods, and therefore lends easy accessibility.